Cheryl Van Demark is a physical therapist, yoga therapist and yoga teacher with a Master’s degree in physical education and exercise science. She has enjoyed over 30 years of helping individuals optimize body alignment, restore movement, build strength and cultivate a balance in body, mind and spirit to pursue joyful living. 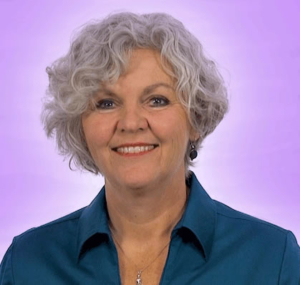 Cheryl is deeply inspired to integrate the wisdom of Yoga into the future of health care. The study and practice of Yoga is both a joy and a passion for Cheryl. Teaching is the greatest privilege! Her experience as a physical therapist intelligently informs her approach to yoga practice; making her classes accessible to honor student abilities across a wide range of experience and health status. Cheryl is deeply grateful for the creative learning community that is forming under Vidya Yoga Retreats and is truly excited to take a deep dive in retreat with YOU! Cheryl received her undergraduate and graduate education through Northern Arizona University. “C-IAYT” designates her certification with the International Yoga Therapy Association’s as a yoga therapist. Cheryl is also a faculty member with the Kripalu School of Integrative Yoga Therapy. Cheryl has taught anatomy for multiple YTT programs and is a co-facilitator for a 300 hour YTT program with Lotus Bloom Yoga Studio in Prescott. She is a member of the Yoga Alliance, the International Association of Yoga Therapists, The American Physical Therapy Association and the International Association for the Study of Pain.